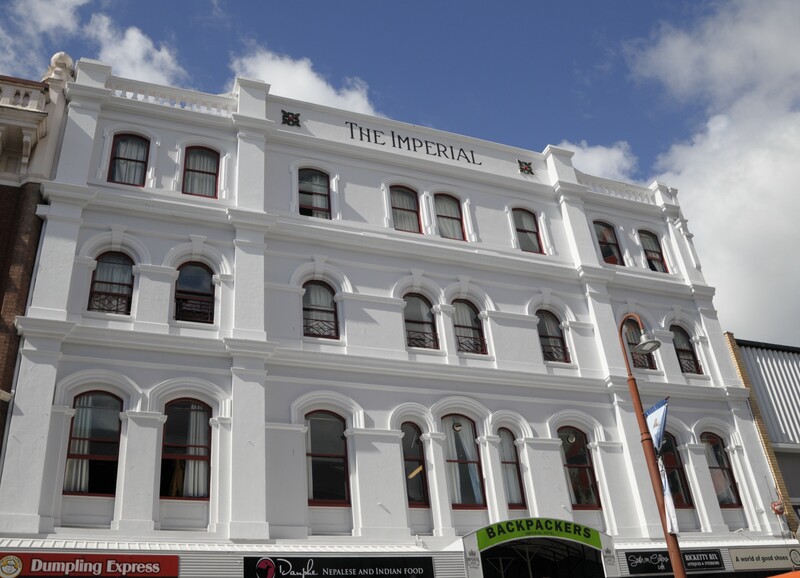 The Backpackers Imperial Hotel is located in the heart of the Hobart CBD. We are within walking distance from the famous Salamanca Place and Market, the waterfront, parks, museums, shopping, cafes, pubs and restaurants. The Tourist Information Centre, supermarket, banks as well as public transport are also just a stone’s throw away. We are on levels one to three upstairs in the old Imperial Arcade which is a piece of Hobart’s Victorian architecture first established in 1870. We offer a variety of private and dorm rooms for the budget traveller. With a funky retro feel we boast the comfiest mattresses in town and we provide the beds fully made up for you on your arrival. We have spacious common areas with lounges and widescreen TVs, Netflix as well as a large clean kitchen and dining room to cook and enjoy your own meals. Our friendly staff is looking forward to helping you enjoy your stay with us and in Hobart. Group bookings of 5 or more guests, different policies and procedures apply, including AUD $500 to AUD $1,000 security deposit upon check in to cover any incidental charges. For further information please contact us at the time of booking using the contact details.